I’d like to give you a few examples of what I call “Rhinos.” These are some of the people we have the privilege to associate with who serve as a blessing to our team at Abel Hall and to the community. They lead lives of significance in their retirement years. Our great pleasure would be in helping you become like them as you dream and plan for the life of significance you hope to cultivate in your next 30 years. A woman comes to mind with a heart the size of Texas who cares deeply for animals. She has been a board member and advocate for local organizations doing incredible work for animals. She has invited us to galas to support her causes. Family comes first and she makes time for family travel and holiday get-togethers. She’s happy, hilarious and a perfect example of the timeless wisdom: that it’s in giving that retirees receive. She’s retired “in name only.” She’s living a life of significance. Next is a man who after years of being a professor retired “in name only.” He always wanted to learn how to cut meat and found a job with a local butcher. He volunteers by leading graduate students on annual research trips. He and his wife have a heart for giving and may give more to non-profits than they spend on themselves. They have an infectious laugh, a wonderful marriage, and have taught me more about the joy of living beneath one’s means than I imagined possible. Another man is a speaker and author we’ve come to befriend. He’s 73 years old. After 50 years in the financial services industry, he loves writing a monthly newsletter to financial advisors oxygenating our souls as we continue to forge ahead in the quest for lasting financial peace in our (often) frenetic world. He writes from his home and has an annual speaking engagement in New York which many of us pay top dollar to attend. Importantly, his daughter is his publisher, his son manages shipping the books and the annual speaking engagement is a family affair. He’s made it clear he’s writing to the 25-year-old version of himself in an effort to be a blessing. He’s doing some of the best work of his life and what work he does at this point is mostly for the betterment of his grandchildren’s future education. As I’m writing, I’m tempted to go on and on about someone who took up a part-time job at their local church, another man who serves regularly at the soup kitchen but still finds ample time for fishing. A woman who now exercises 5 days a week and keeps teaching us about Zumba of all things. It’s a big world with virtually endless possibilities. When you close your eyes what do you see? Dreaming isn’t a dirty word, in fact, I can’t think of great accomplishments that didn’t start with a vision. 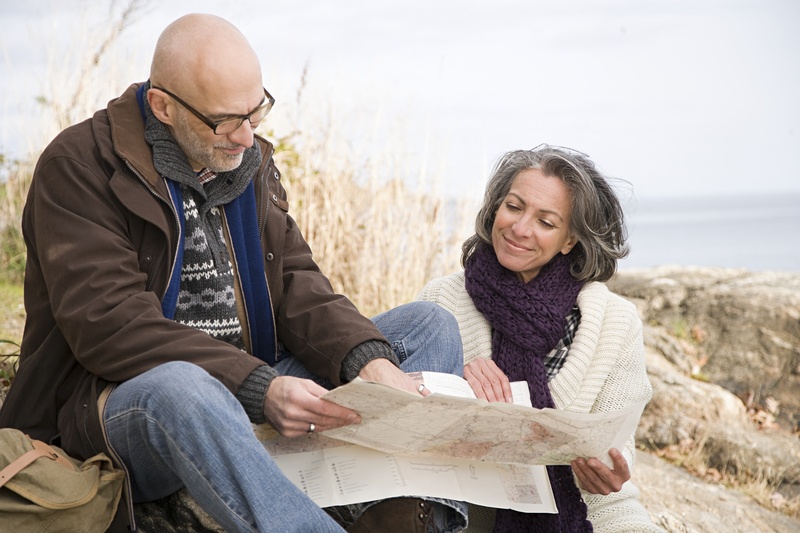 We would love to help you grow your vision as you think about retiring with purpose. Today’s retiree is consciously or unconsciously mindful of the dignity and independence with which they want to approach their retirement years. You don’t have to hang around Boomers long to hear heartfelt stories of their parents’ ailments, commonly: cancer, Alzheimer’s, or dementia. It’s a fact: People are living longer. Many retirees today are very aware of the care that their parents needed and they are concerned about their children having to provide the same. Today’s retiree doesn’t want to be an emotional or financial burden on their children, and this has everything to do with retirement planning. At Abel Hall, we are committed to helping you think through the issues that matter most and will allow you the chance to retire full of vision, along with the dignity and independence that you desire.